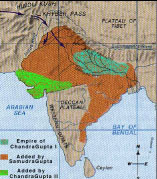 Skandagupta Kramaditya, son of Kumaragupta ruled Empire c.455 - 480 CE. After the death of Skandagupta, his nephew Budhagupta Sri Vikrama ruled Malwa part of the empire between 480 - 500 CE. 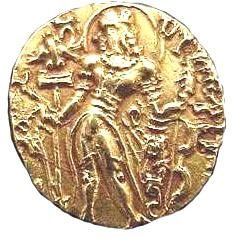 Puragupta Prakasaditya, another nephew of Skandagupta ruled Magadha from 480 - 485 CE. 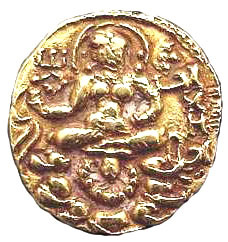 Reverse: Goddess Lakshmi seated on a Lotus flower.